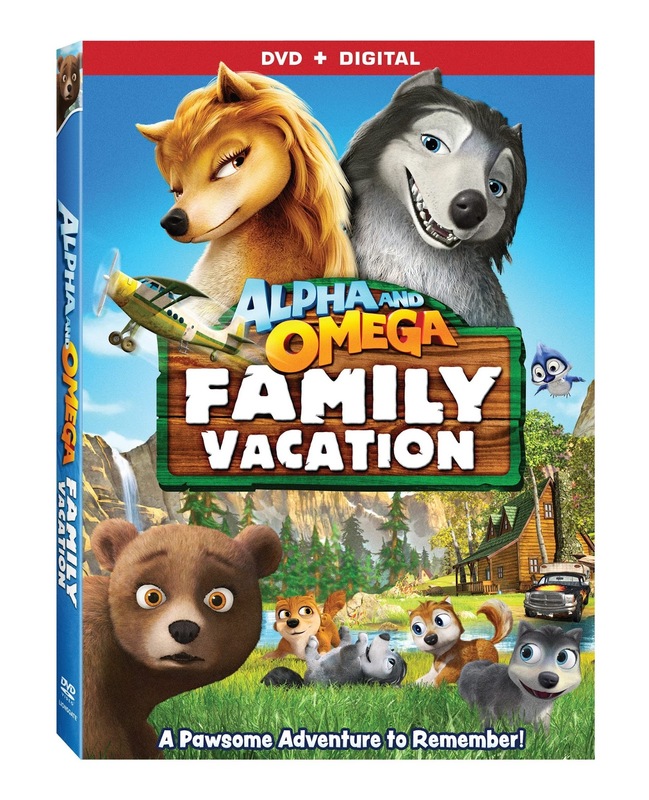 We were recently asked to review Alpha and Omega: Family Vacation which became available on DVD, Digital HD and On Demand on August 4th, 2015. My boys were huge fans of the last four Alpha and Omega movies, so I knew there was going to be a good chance they would enjoy this one! The moment it arrived, we had to pop it in right away for the boys! 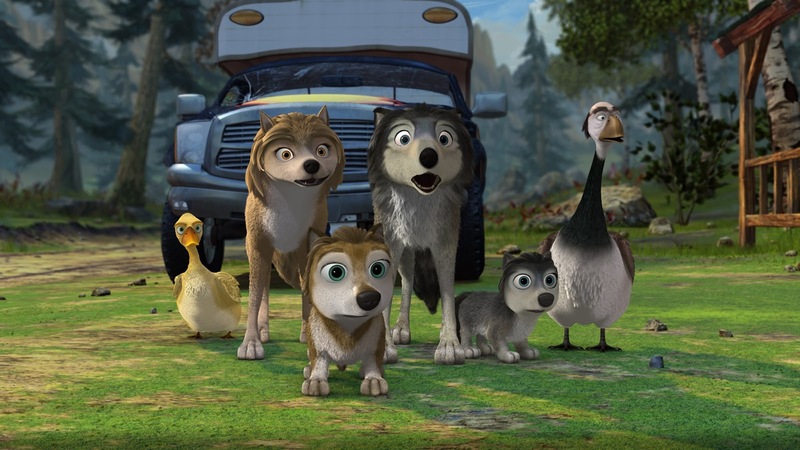 The synopsis says "Pack up for a howling fun movie adventure filled with action, laughs and tender moments as Kate and Humphrey take their pups on their first family vacation! The wolves are ready for a relaxing getaway to Alfred Creek Falls - until they discover trappers on their trail. To outwit the trappers and get to safety, Kate and Humphrey will need the help of a wild and wonderful group of animal friends in this unforgettable story of family togetherness." When I asked them what they thought, they both said it was another good one but that it wasn't quite their favorite. They both agreed that the Great Wolf Games is their favorite however, this one was a fun one to watch over Summer vacation. It kind of reminded me that we have to start planning another trip for our family here pretty soon! This was a perfect one for the entire family to watch. Recommendation: I thought the quality of the film was great and the story line was a sweet one. I'd be willing to pay $15 for this and possibly even more since we all like the film so much! 2015 Lions Gate Entertainment Inc. All Rights Reserved. 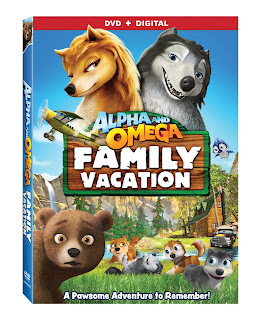 Giveaway: Lionsgate is going to give one of A Lucky Ladybug's lucky readers Alpha and Omega: Family Vacation on DVD to have of their own! Universal Studios in Florida was the best family vacation I've ever taken. There wee five of us who went: my husband, my son, son's girlfriend, her little man, and me. Our little man loved the Talking Fountain and carried on the funniest conversation with him. 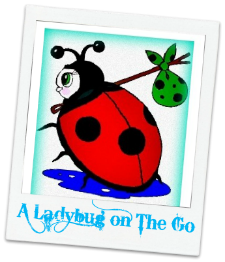 We enjoyed lots of rides and good food while there. My son's girlfriend loves all things Harry Potter...so she was on Cloud 9! We saw Shrek in 3D and enjoyed it so much we attended a second showing. We ate at Emeril's the last night before coming home. Such fun! Going to the black hills and seeing Mt. Rushmore. Our best vacation was our visit to San Francisco-especially Alcatraz! The best vacation we ever took was to Cape Hatteras. We rented a house and it was so much fun. best place ever was Hawaii we swam with dolphins, fed the fish and took a submarine ride. Went to see the lava flow. It was the coolest time ever. The best family vacation I have been on was to Panama City, FL. We swam and walked the beaches and watched the sunset over the water and sipped margaritas. we went to mexico the Cancun area white sandy beaches and fun we all had a blast!! Our whole family, year after year, would all get a rented house on the beach for a week. We would have our annual ball game in the sand, go out for dinner, play in the ocean, etc. Our best family vacation was Disneyland, the kids loved it and Mom and Dad had fun too! I love that it is not too busy... some blogs look so crowded that you can't see anything or find anything... Love the clouds too.